A doublet (derived from the Ital. giubbetta) is a man's snug-fitting jacket that is shaped and fitted to the man's body which was worn in Spain and was spread to Western Europe from the late Middle Ages up to the mid-17th century. 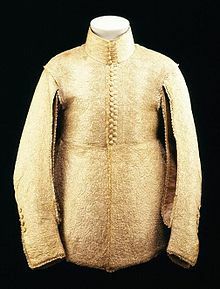 The doublet was hip length or waist length and worn over the shirt or drawers. 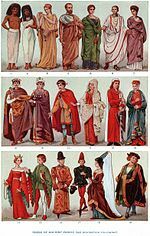 Until the end of the 15th century, the doublet was usually worn under another layer of clothing such as a gown, mantle, overtunic or jerkin when in public.